Gifts for a First Communion are typically religious in nature. For families who are involved in their church, a child's First Communion marks an important step in developing faith and becoming part of a religious community. 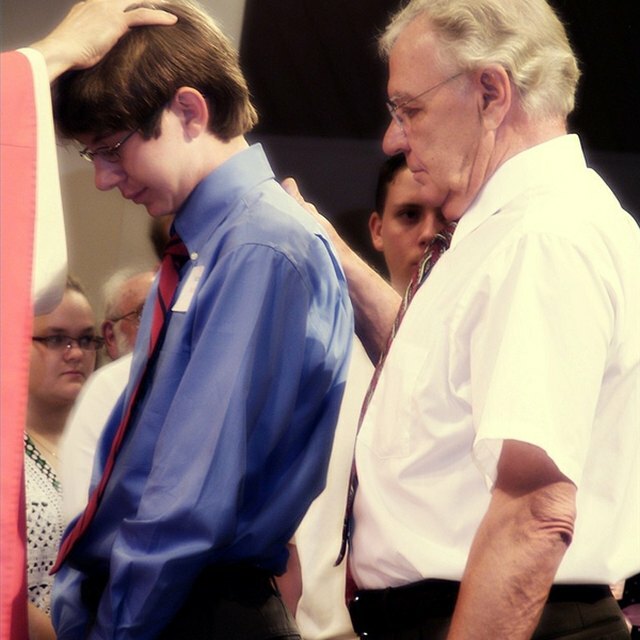 A boy's First Communion is the day he officially receives the first sacrament of the Eucharist, and the day is often celebrated by family and friends. As you choose a First Communion gift, consider items that will memorialize the day and the religious meaning of the ceremony. Parents or grandparents often give personalized Bibles as First Communion gifts for their sons and grandsons; if you are not of the immediate family, you can promote the boy's religious education and development by giving him a devotional or prayer book. The type of book you give may depend on the particular religion of the child, but you can also find a book that uses scriptures in combination with miniature stories to teach lessons of love, tolerance and other religious aspects. Most books will be well-received, but if you are unsure, it is appropriate to call the pastor or priest of the church in which the First Communion will take place for recommendations. At a First Communion, it is common practice to give a boy a religious medal on a chain that he can wear as a necklace or hang from an important place. Look for medals that are specifically designed for First Communion: Many will have a depiction of a chalice. Medals are available in many shapes, from a four-pronged square cross to a decorative shield. You can also give a boy a cross necklace or pendant; look for a thicker, more sturdy version to avoid associations with delicate, feminine jewelry, and choose a solid, masculine chain. If you will be shooting pictures during or after the First Communion service, you can frame a photo for the boy as a reminder of his special day. You might place a photo of the entire Communion group or ask the boy to pose with his parents and the priest in front of the altar. When choosing a frame, look for a simple, elegant version with a religious theme. If you choose a metal frame, bring it to a jeweler's to have it engraved with the boy's name, the name of the church and the date of the First Communion. 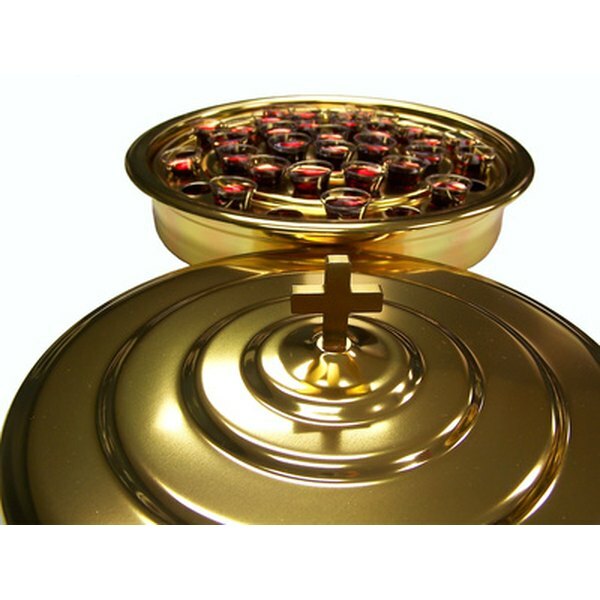 To personalize it further, include a favorite Bible verse or inspirational quote.